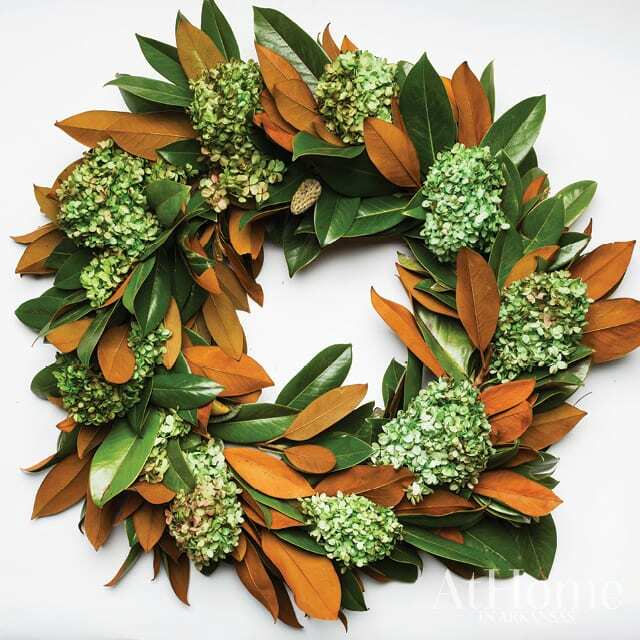 Floral designer Chris Norwood of Tipton & Hurst teaches us how to layer colorful elements—many of which you can find in your yard—to create a seasonal wreath. Here’s his step-by-step formula to bring a little cheer to your front door. 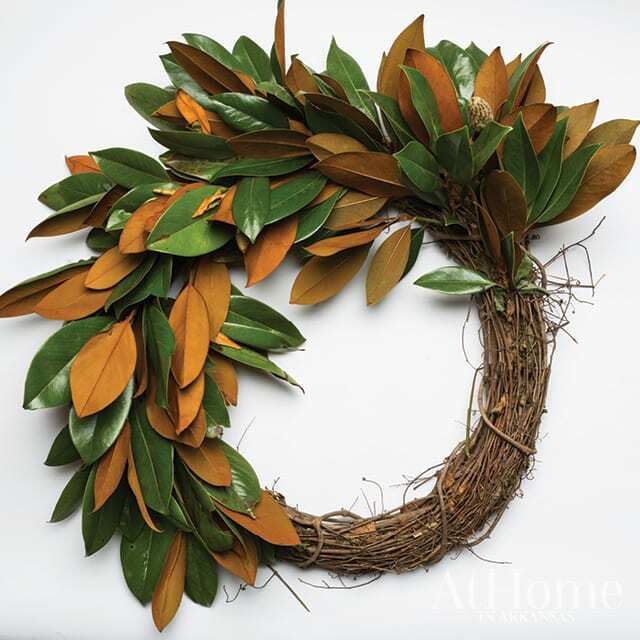 “Many people try to use floral forms, but grapevine wreaths are versatile and make a great base that can be reused,” Norwood says. He also notes that they allow for elements of your design to be easily woven into the scheme without the aid of wire. “Magnolia is so big right now,” Norwood says of the popular evergreen leaf that has lasting power for the season. You can clip these from your yard, and they will continue to look fresh for weeks. Norwood left the stems of these leaves long to allow them to be inserted easily into the space between the grapevines. 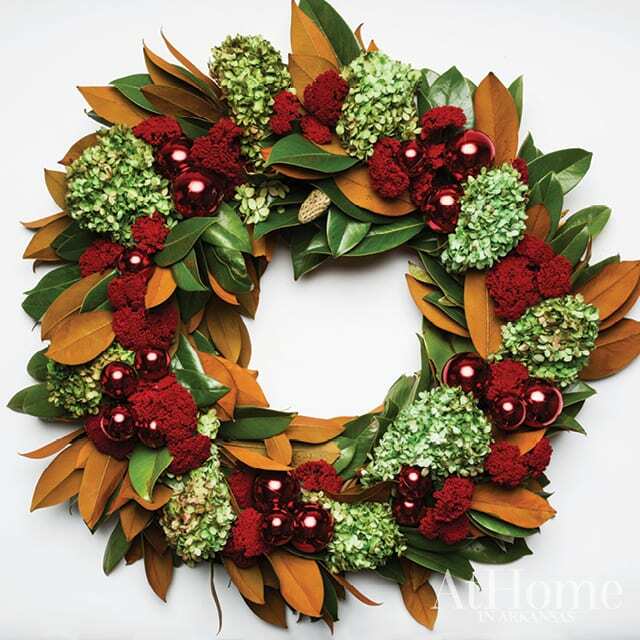 Work your way around the wreath until it looks full and evenly distributed. Continuing with the theme of native flowers and plants, Norwood added several hydrangeas. 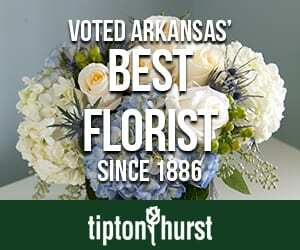 “We used preserved green hydrangea, but you could use dried as well. Hydrangeas can also be sprayed if you want to bring in a different color; gold is a favorite of mine for the season,” he says. 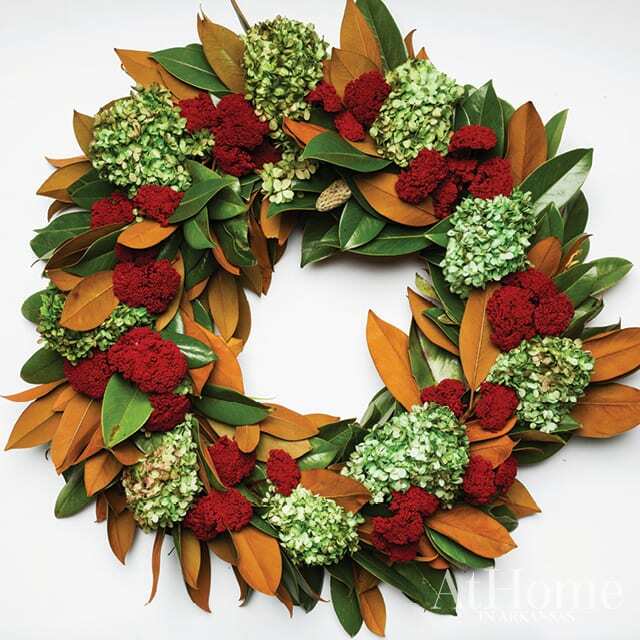 For a burst of red, Norwood used dried yarrow that he notes mimics the look of cockscomb and adds texture to the wreath. All of the elements need not be natural. 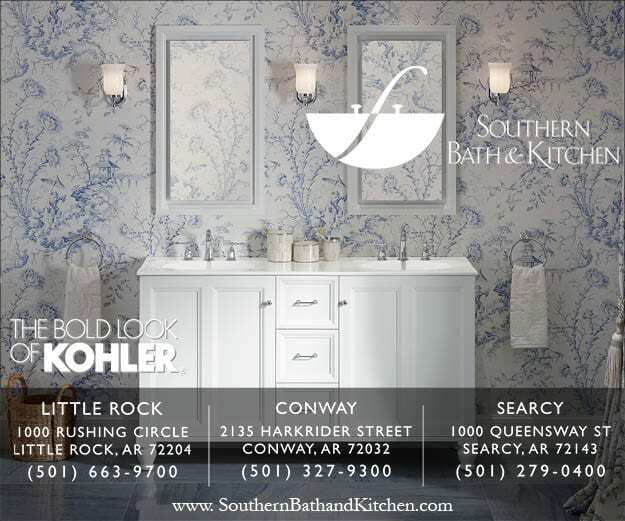 Incorporate a few ornaments that hint at your interior décor and give guests a peek at what’s to come. 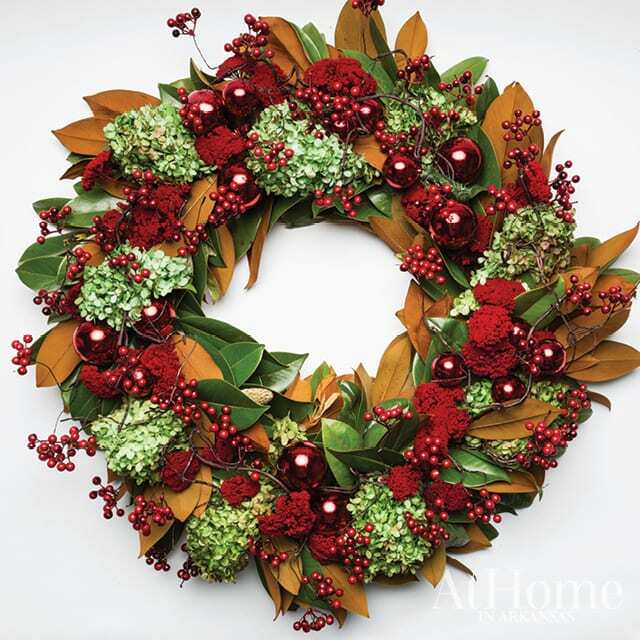 A layer of berries completes the wreath. 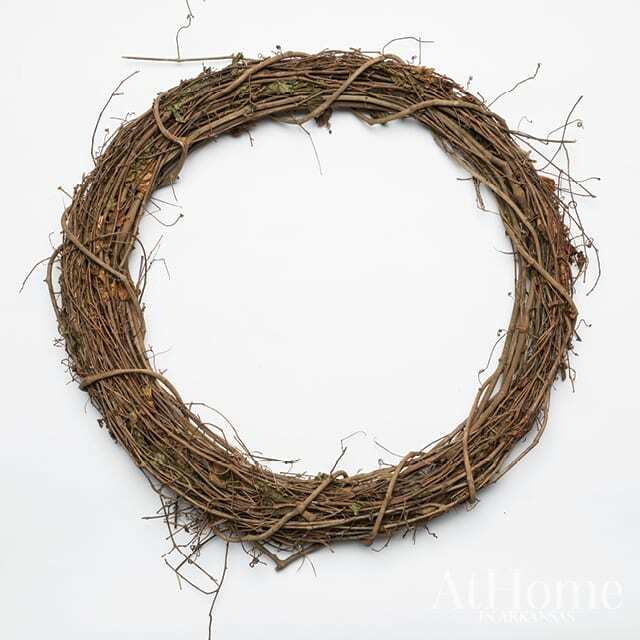 Norwood says that if you plan to move the wreath frequently or are concerned about the elements shifting from the base, this final layer can be wired onto the wreath to cap off the design. Ready to design your own holiday wreath?